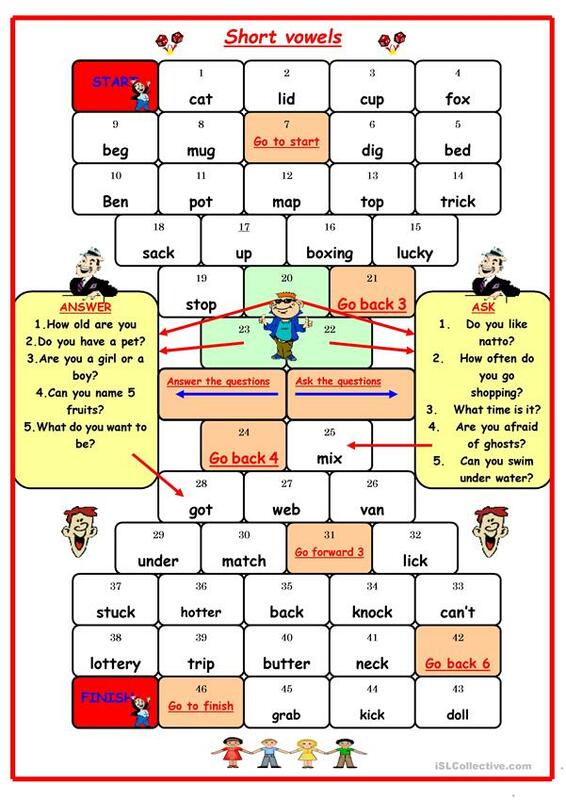 Simple board game to get your sts into short vowel sounds. It's fully editable so you can change everything the way you want. I hope it's useful for some of you. The above downloadable printable is meant for elementary school students and kindergartners and nursery school students at Beginner (pre-A1) and Elementary (A1) level. It is a useful material for consolidating Consonants and vowels and Phonetics (pronunciation, IPA, phonetic symbols) in English.